Description: Tracing the connections -- both visual and philosophical -- between new media art and classical Islamic art. In both classical Islamic art and contemporary new media art, one point can unfold to reveal an entire universe. A fourteenth-century dome decorated with geometric complexity and a new media work that shapes a dome from programmed beams of light: both can inspire feelings of immersion and transcendence. 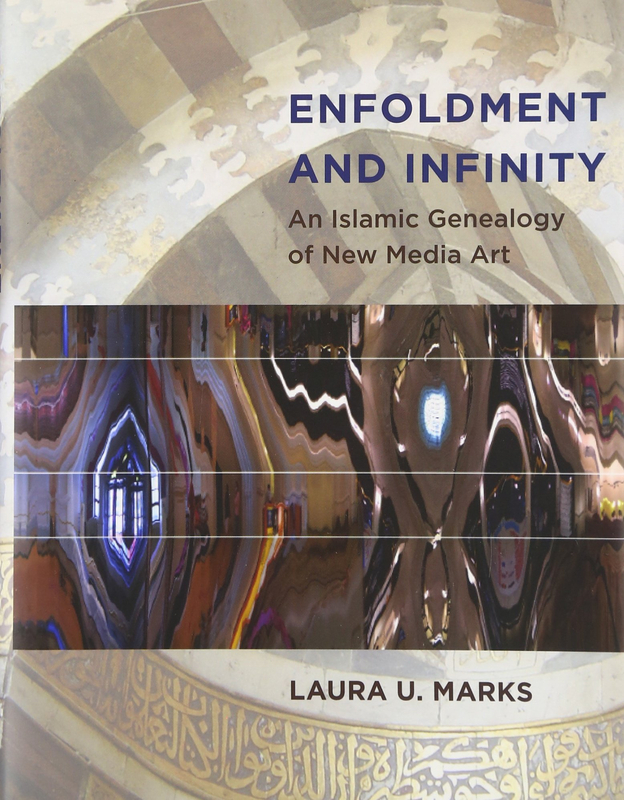 In Enfoldment and Infinity, Laura Marks traces the strong similarities, visual and philosophical, between these two kinds of art. Her argument is more than metaphorical; she shows that the "Islamic" quality of modern and new media art is a latent, deeply enfolded, historical inheritance from Islamic art and thought. Marks proposes an aesthetics of unfolding and enfolding in which image, information, and the infinite interact: image is an interface to information, and information (such as computer code or the words of the Qur'an) is an interface to the infinite. 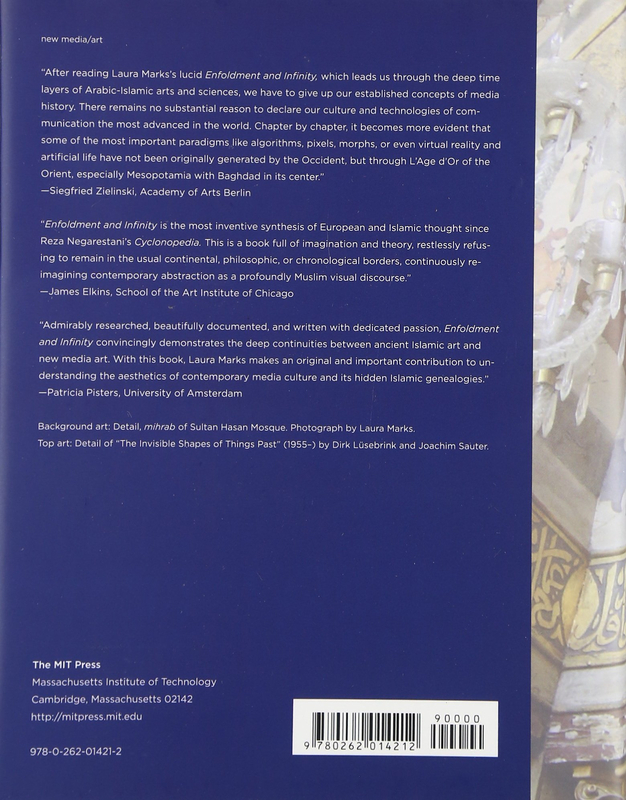 After demonstrating historically how Islamic aesthetics traveled into Western art, Marks draws explicit parallels between works of classical Islamic art and new media art, describing texts that burst into image, lines that multiply to form fractal spaces, "nonorganic life" in carpets and algorithms, and other shared concepts and images. Islamic philosophy, she suggests, can offer fruitful ways of understanding contemporary art. Author Biography: Laura U. Marks is Dena Wosk University Professor in Art and Culture Studies in the School for the Contemporary Arts at Simon Fraser University. She is the author of The Skin of the Film: Intercultural Cinema, Embodiment, and the Senses and Touch: Sensuous Theory and Multisensory Media.